I’m always fascinated by the first spark of inspiration that leads to a book. For some, inspiration hits and almost immediately a story flows forth. But for me, it seems that inspiration needs a good deal of time to germinate, laying dormant for years in my subconscious, building strength. My latest novel was first conceived more than 20 years ago when I worked in Washington, D.C. and lived in Arlington, VA. When friends and family would come to visit D.C., it was only natural to make a stop at the neighboring Arlington National Cemetery before heading over Memorial Bridge to see the other memorials. It never ceases to be a profound experience to see the endless sea of white crosses and Stars of David that traverse the green pastures of Arlington. The suffering and sacrifice is palpable. But it took me years to actually visit the coral-colored Greek Revival home that sits high atop the cemetery. I had no idea that it, and the entire property, had once been the ancestral home of General Robert E. Lee and his family until I took a tour of Arlington House. How had the Lee home come to be the largest military cemetery in America? I knew there was a story there. In the little book shop adjacent to the house, I picked up a small book “Growing Up in the 1850s” –the diary of Lee’s middle daughter, Agnes. In her diary, Agnes charmingly records the life of a normal schoolgirl, completely unaware of her privileged upbringing and never suspecting how dramatically her life–and that of the nation– would change in just a few short years. I wanted to tell her story. In my novel, Arlington, the Civil War is not seen through the General’s eyes on the battlefield, but through the eyes of his two daughters, Mary and Agnes, who are as different as two sisters can possibly be: Mary is assertive, self-assured and independent while Agnes is thoughtful, naive and indecisive. They can barely stand to be in the same room with one another, but are forced to navigate a new world together in the aftermath of their father’s decision to leave the Union. As the War progresses, they lose their home, loved ones and their once bright futures but find in each other the grace and strength to endure. In my research, I learned that the Lees were a complex, and often contradictory family: the Lee women were involved in activities to end slavery, Robert E. Lee spoke of slavery as “a moral and political evil,” and yet he chose to fight on the side of those who wished to preserve it. Since I had that first inkling to write about the Lee family and Arlington, the reputation of General Robert E. Lee has gone through some serious reappraisal. There seems to be a tendency to shy away from difficult history, but I believe delving deeper into the complexities of the past is more productive than closing our eyes to it. Throughout history, human beings have proven themselves to be inherently flawed and contradictory creatures, and often times we rush to judge people of the past without thought to our own prejudice and inconsistency. As our nation continues to grapple with the legacy of the Civil War, I think it more important than ever to delve deeply into that history, not only to understand our past, but in hopes of charting a better future. My father passed away this summer after a long, valiant battle with a Parkinsons-like illness. He lost so much and endured great suffering, but I can’t help but think the hardest thing for him was the loss of his ability to use words. My dad wasn’t a writer, but he was the greatest lover of words I’ve ever known. Every morning started with a cup of coffee and a crossword puzzle and most nights ended with a scotch old-fashioned and another crossword. Growing up, we had one of those ancient, unabridged dictionaries on a bureau in the hallway. Sometimes, I’d find Dad standing hunched over the enormous book, thumbing through pages just for love of the words. He was kind of like a walking dictionary. If I ever came across a word that interested me or I didn’t know the definition of, a quick call to Dad was all it took. Without a hint of hubris, he would rattle off the definition and usually the root and origin of the word. As his illness progressed, the words would often get stuck somewhere in his addled brain before they could make it out of his mouth. 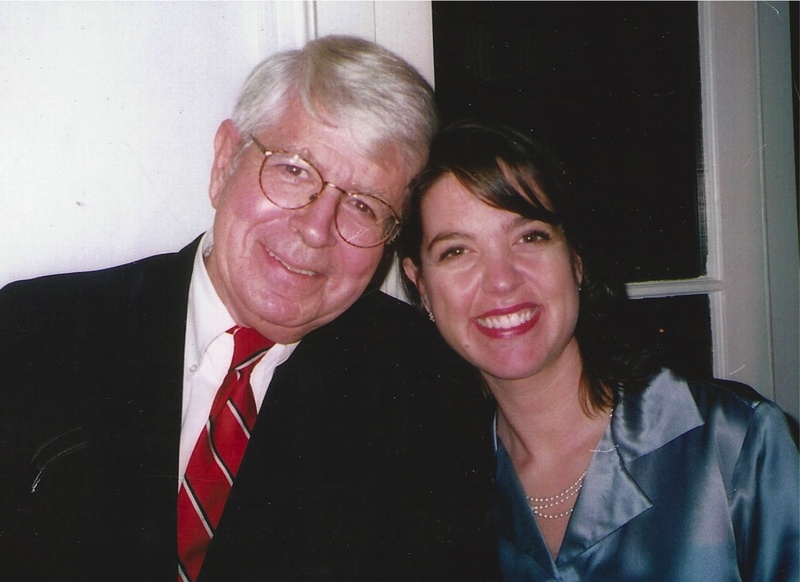 It was supremely frustrating for Dad, but he handled it with grace and his easy-going laugh, and would usually find another word to get his meaning across. But even that got more and more difficult for him to do, until he was unable to say much of anything. I think he would roll his big brown eyes at this, but I’ve been thinking of words to describe him: elegant, optimistic, intelligent, reserved, circumspect, steadfast, devout, kind and fearless. He would probably know just the right word to describe how much he is missed, but I can only feel it in my heart. 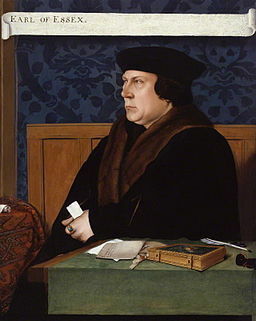 It’s no secret that I am not fan of Hilary Mantel’s take on Thomas Cromwell. He is a big player in my novel, Mine Own Good Daughter, and my research led me to a very different conclusion about Cromwell’s character. When I entered Cromwell’s darkened chamber, heavy with Flemish tapestries and gold plate scattered about, a wave of sickness washed over me. I swallowed hard and prayed fervently for strength, knowing that weakness now would do my father no good. The man before me looked differently from the one who visited Chelsea two years ago. He had the same raven hair and beadlike eyes, but sitting behind the immense oaken desk, he appeared more powerful, more menacing. “My pleasure, Master Secretary,” he said, with a pronounced bow and a furtive glance at Cromwell, closing the heavy door behind him. I took a seat in the ornate French chair facing his desk. He began again to go through his papers. My nerves were wrought, and yet there was nothing I could do but sit patiently. “I thank you for your concern for my father,” I said. He looked at me for a length of time, how long I cannot say, but surely long enough for me to again feel uncomfortable. “Yes, your father,” he said with a sigh, as if that was a subject of frustration. “There are many fine things that can be said of your father. But to my mind, you are by far his finest achievement.” He rose to walk towards the small leaded window at the far side of the room. It was hot and I hoped perhaps he might open the widow to let some fresh air into the stifling room, but he only looked out upon the river below. I had said more than I wished and stopped myself from going on. He assured me that I should not be afraid to speak my mind for that was why he called me thus. He began turning the strange blue ring on his thick forefinger and said nothing further. Again, the silence grew uncomfortable and I felt the need to say something, anything. “I am glad to hear it, Meg,” he said, a hint of a smile flashed across his broad face. I was shocked by his familiar use of my name, but was in no position to protest, as he knew well. “I desire that you work with me to convince your father to sign the Oath,” he said, as if it were the easiest thing in the world. “I shall do all in my power,” I said without thinking of the consequence, so desperate to see father at any cost. He walked from behind his desk slowly and placed an ivory sheet in front of me. It took me only a moment to realize the parchment, crowded with uneven signatures, was the Oath. “You will sign here.” He pointed with his meaty finger, stained with black ink. I was taken aback and angry by his unexpected and direct challenge. “Why would anyone wish to know my opinion? I am but a woman and even then, not of nobility. It matters not what I think.” I looked at him directly, my anger giving me more courage than I truly possessed. I felt trapped, like a bird caught in the thicket, and I saw no way out of the suffocating room. “You must convince your father to sign this Oath. Do you not think it would have more weight if you yourself sign?” I could not speak but stared directly into Cromwell’s cold black eyes with a fury that I did not know I was capable of. “You have tricked me, Master Secretary,” I said, unable to contain the scorn in my voice. “Your husband,” he said, the strange smile returning to his face. “He is no match for me — or for you, for that matter. I have seen the way he waffles in Parliament, how he used your father’s position for his advancement. I have been sickened by his conduct at court . . .” He stopped. What did he mean? But I had little time to wonder for he leaned in close to me. “Did you tell him of our meeting?” I was uncomfortable with his closeness; with his breath on my face, with his questions. I could not think clearly. With trembling hand, I took the quill and signed my name, all the while asking for God’s mercy. I felt ill and weak. I was now a traitor, colluding with Thomas Cromwell against my father’s conscience. I cannot recall coming down the stairs to the barge, but I do remember the relief of the strong, cold wind stinging my face and the comforting smile of Dorothy. So glad was I to be away from that man that the roiling Thames caused me no anxiety. The thought of that horrible taste stays with me even now. It is the taste of corruption. When I returned to Chelsea, Will was waiting in the garden for me. His eyes were full of concern and I felt pity for him. Those people he has so long tried to impress think him a fool. He wished to know all about the meeting. I told him that Cromwell would allow me to see Father. I did not tell him that I signed the Oath. I am blessed beyond description with generous, caring, wise, hysterically funny and loyal friends. I do not deserve a one of them, but please do not let them know. Case in point, the magnificent Holly Conner. Holly wrote a beautiful guest post about my writing journey for the very savory literary blog, Bacon on the Bookshelf . Please go take a look! Obviously, by the stunning lack of posts here, my answer to this question has been to write a chapter. The fact that I’ve been experiencing some technical difficulties with this blog has made that decision easier, but I think I need more balance. One day last week, I found myself spending an inordinate amount of time researching the word fisticuffs to see if it would have been used in pre-Civil War America. That’s the kind of rabbit hole I often find myself lost in as I write my second historical novel. It makes me think I need to get out more. Writing is a lonely pursuit–anyone who has written so much as a long letter realizes that. But a novel is a whole different level of lonely. You slog around with characters and scenes all day. You wrestle with dialogue and trying to keep the pacing just right. Sometimes all that wrestling leads to virtual fisticuffs with characters that refuse to play along with your plans. This blog gives me the chance to leave Tudor England or Civil War Virginia or whatever other period I’ve dropped my anchor in. I can reenter a world where I don’t have to worry so much about etymology. I can write something and actually FINISH it in a day. A thought. An idea. There is a definite beginning, middle and end to a blog post. There is something very satisfying about that. In future posts I plan to delve into the Wolf Hall brouhaha (let’s just say Hilary Mantel and I don’t see eye to eye on Sir Thomas More) and give a review of All the Light We Cannot See. Thank for stopping by. You can tell a lot about person by what they read. Since the moment he shyly greeted us from the Vatican balcony and asked for our prayers a mere 18 months ago, the world has been trying to understand the phenomena that is Pope Francis. Last year, he gave an far-ranging interview that ended up making international headlines. Much was made about the Pope’s comments on some hot-button issues (comments that were mostly taken out of context in the media). The article itself is 24-pages and, for anyone willing to invest the time to read it, a lot can be learned about Jorge Bergoglio. The Betrothed has been on my TBR list ever since, and I finally got to it. 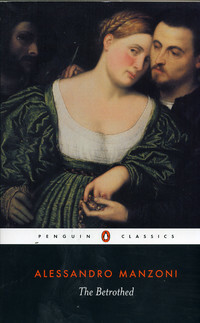 First published in 1827, it is considered a masterpiece of Italian literature and historical fiction. The Betrothed is long and sometimes a slog–it bears the imprint of being written in a time of greater attention spans– but it is a beautiful novel of love, suffering and mercy. The novel takes place in 17th Century Italy, before the unification of the Italian states, during a tumultuous time of famine, plague and societal unrest. The story centers around a young peasant couple, Renzo and Lucia, who want little else than to be married and live their simple lives. But a powerful, lustful noble has his eye set on the pious, lovely Lucia and sends his henchmen to threaten their parish priest with death if he performs the ceremony. The cowardly priest’s acquiescence to the nobleman’s evil intentions puts in motion the couple’s struggles to be united in matrimony. The injustice of the rich and powerful against the poor is certainly a theme throughout the book. Yet, The Betrothed is not a rich vs. poor story, but rather a story about the power of mercy and forgiveness over hatred and vengeance. Each of the characters–including the vilest–are portrayed with a certain sympathy, as if even Manzoni is hopeful that they might, at some point, respond to grace and seek redemption. It is almost impossible to read The Betrothed today without seeing the likeness of Pope Francis in the character of Cardinal Frederigo. Believed to have been based on a real 16th Century prelate, Frederigo leads his flock through the times of war, famine and plague by his example of humility and his personal involvement with their sufferings. He visits homes, fearlessly ministers to plague-victims and goes without food so those in most need might be saved. Yes, he is saintly, but Manzoni gives us a man who is still fully human. Cardinal Frederigo’s dress-down of the weak-willed parish priest is not too be missed. Pope Francis said, “Manzoni gave me so much.” Could he perhaps mean that in Frederigo, he saw the kind of priest he wished to be? Do we have Manzoni, in some small way, to thank for this amazing pontificate? After reading The Betrothed, I think yes. Manzoni surely never dreamed that his book would inspire a Pope almost 200 years in the future. That, my friends, is the power of good historical fiction.